It had never happened before. David, a 23-year-old Muscovite, was walking through an underground crossing in central Moscow when two police officers stopped him. On the spot, they checked his documents, looked into his backpack and inspected his large winter coat. Then they let him go. The police were polite, says David, but the reason for the stop was clear. Just days earlier, a 22-year-old Islamic terrorist had set off a bomb in St. Petersburg’s metro, killing 14 people and injuring dozens of others. 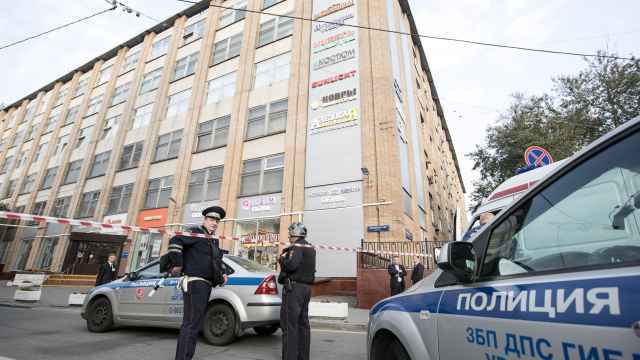 Security was heightened across the country, and police were actively targeting Muslims from Russia’s North Caucasus region and Central Asia. Since the St. Petersburg attack, the local Fontanka news website has reported increased searches of “non-Slavic” people in the city. A Petersburg resident also tweeted a photo of police removing dark-skinned individuals from a local movie theater. Meanwhile, a bearded Russian convert to Islam, who was initially misidentified by journalists as the terrorist, has now lost his job as a truck driver in Russia’s southern Orenburg region. In this environment, rights defenders have little doubt that racial profiling will increase. 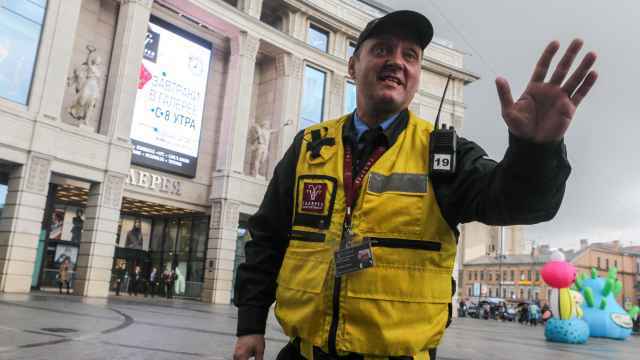 Since the 1990s, Russia’s police have grown infamous for racially profiling non-Slavs on the streets of Moscow and other cities. Data is sparse, but the little that exists paints a stark picture: A 2006 study by the Jurix legal organization found that non-Slavs were almost 22 times more likely to be stopped than ethnic Russians. Experts doubt that the situation has improved since then. “This is a constant campaign,” says Svetlana Gannushkina, chair of the Civic Assistance migration rights organization. 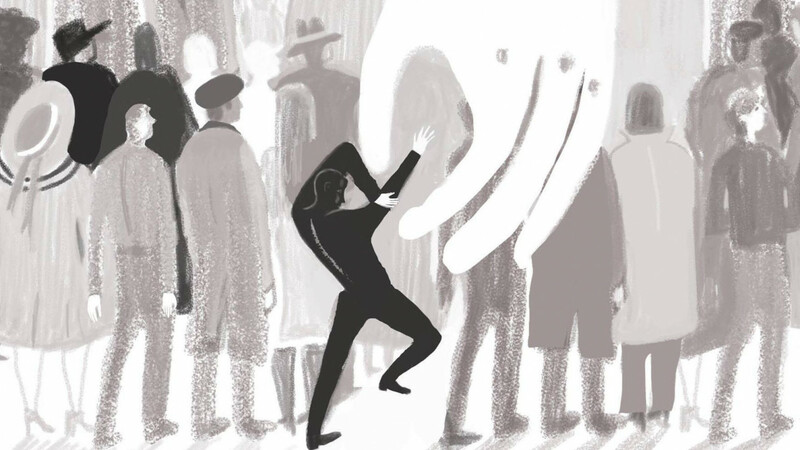 While any non-white person can become a victim of racial profiling, the most frequent targets are people from the North Caucasus and labor migrants from Central Asia, two groups that have been much maligned in Russian society for their alleged ties to terror and crime. Racial profiling has become such an accepted part of life for minorities that it has even been satirized on television. The music video for “Dark Eyes,” a 2005 song by Aidamir Mugu, features the ethnic Circassian singer — dapperly dressed in a suit and tie — being detained by a police officer for not having identification. In the police station, Mugu takes to the stage and performs a song about a girl with dark eyes. He is backed by a choir of Central Asian labor migrants. The video suggests that, whether you’re a popular singer from the North Caucasus or a itinerant construction worker from Central Asia, the police simply see you as a non-Slav. Despite its frequency, racially-motivated policing is illegal, say rights defenders. Formally, Russian legislation limits document checks to when there are clear and immediate indications a person has committed a crime. Absent this, police can stop a person for a document check if they have reason to believe the he fits the description of a wanted criminal, says Gannushkina. 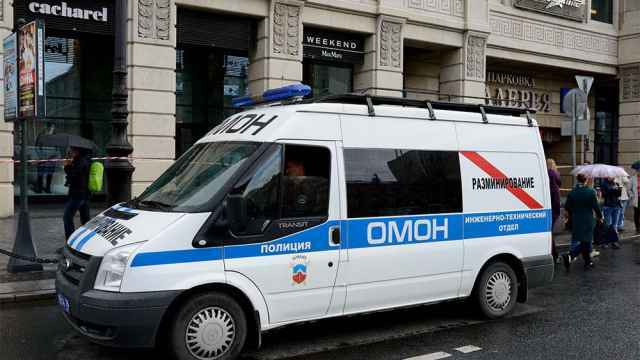 In practice, however, police are usually looking for registration and document violations among migrants and nonlocals — even though this is the exclusive domain of the migration service, says Alexander Verkhovsky, director of the Sova anti-extremism center. Typically, he adds, the police tend to focus on younger people from the lower classes, who are often less informed about their rights. With limited accountability to the broader public, the police are an object of fear for many Russians. This is doubly so for the victims of racial profiling: ethnic minorities—and particularly labor migrants—face distrust and, at times, hostility from the broader public. They are also often less fluent in Russian and exist in isolated communities. This creates a situation where, even if officers aren’t following the law, few actually dare to stand up for their rights. “It’s easier to just part ways with the police officer as quickly as possible, rather than explore why he stopped you,” Verkhovsky says. Even when the police have the right to stop a person, they often fail to comply with the law, says Gannushkina. She saw this firsthand several years ago, when she inquired why a police officer had stopped her. It turned out that the stop was legal: The officer was looking for suspect who matched her description. But he failed to follow procedure. By law, he should have introduced himself as a police officer and presented Gannushkina with the wanted bulletin. “He didn’t do it right because he isn’t used to doing it that way,” Gannushkina says. While each individual instance of racial profiling may be a minor nuisance, the cumulative effect can often be very serious. 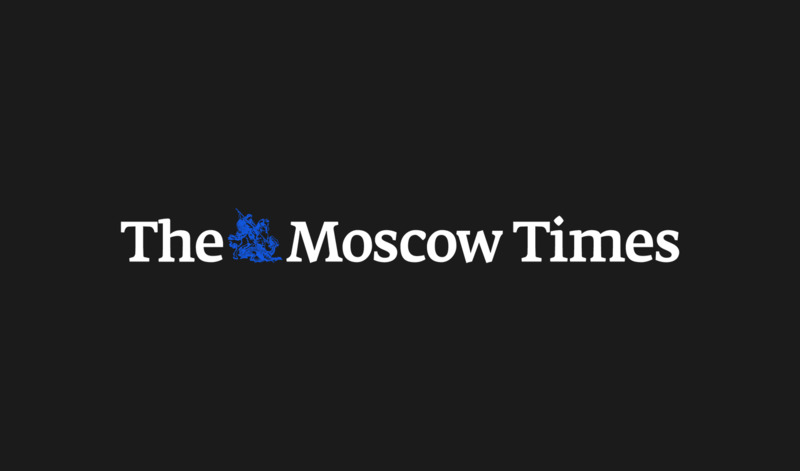 Courtney, a Taiwanese-American living in Moscow who asked to be identified with a fake name, says her experiences of racial profiling have negatively affected her perception of Russia. Last summer, she was walking through the Kropotkinskaya metro station with white American and British friends when a police officer asked for her documents. She handed him her American passport, but the officer “seemed confused and didn’t believe it was mine.” She felt humiliated being treated this way in front of her friends. To make matters worse, the police aren’t her only problem. Courtney says she is often followed by security guards when she goes grocery shopping and subjected to increased baggage inspections at the airport. She has found little support among her Russian friends—they view her experiences as “normal” and often don’t “seem to understand or even sympathize,” she says. That is symptomatic of a broader problem. Racism persists in Russia, as it does in many societies. But unlike in the West, racial profiling remains “a very rare topic of discussion” in Russia, says Verkhovsky. This places the full burden of racial profiling on minorities themselves. Courtney was aware of racial profiling in Russia before she came to Moscow. The U. S. State Department even specially advises citizens of East Asian descent to be cautious in Russia.